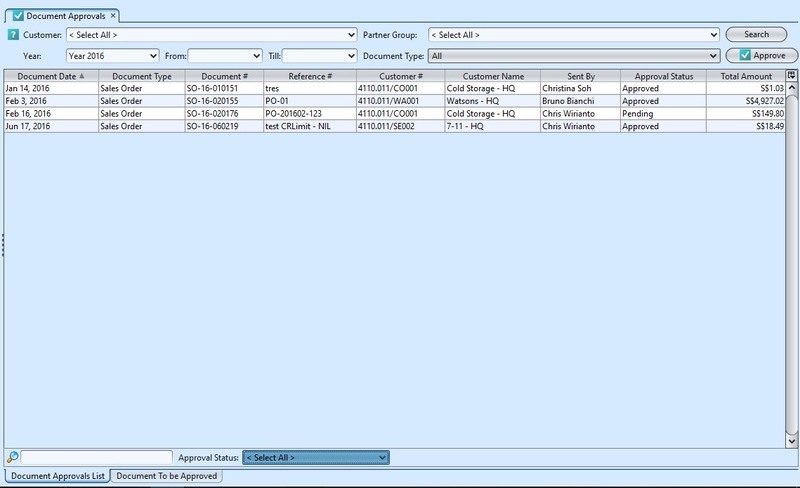 The document approvals (Sales module) process allows the user to managed the approval of sales documents, i.e. sales orders and sales invoices. This view helps approving authority in checking outgoing sales documents to customers and faster approval of sales documents. 3. Enter search parameter to filter the result, i.e. type in document number to search for in the search engine text field box at the bottom left of the screen.